ill your website CRASH? Will your online business become totally unworkable just when you start making some real money? Are you throwing away thousands of dollars every month right now by ignoring 5 simple website coding secrets I reveal below? Keep reading as I reveal the insider secrets I discovered writing website code for some of the world's leading online marketers. Autoresponders automatically send out emails to your prospects. This is vital if you want a highly profitable online business because most prospects won't buy off you till AFTER the 5th or 6th contact. By sending using an autoresponder to send emails with high quality information you radically increase the chances that you'll make a sale. The first day you start using your autoresponder you build the most valuable asset online...an email list of prospects. 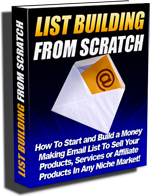 The biggest secret of successful online business owners is they have build huge lists they can email any time they want creating a flood of sales instantly. And you can do the same just by capturing the names and email addresses of prospects who come to your website or buy from you. Your autoresponder will keep all those details for you without you ever lifting a finger. And you can send an email promotion to your list any time you want in just minutes...even if you have a list of 10,000 prospects! You want to buy a new car so you send an email to your list promoting a high quality product you have...or even an affiliate product and in minutes the money starts coming in. With just one day's sales you go down to the car dealership and pay cash. Did you know if you're delivering online downloads your download page could be exposed to the world losing you thousands of dollars and annoying the honest people who pay good money for your products? You could also be losing sales simply by not offering enough payment options. Offering to take Paypal, 2Checkout, cash, check, wire transfers and other payment methods can give a massive boost to your sales. What you need to protect your download pages AND take multiple payment methods is a powerful shopping cart. Add2it E-Shop Pro automatially sends your buyers IP secured, expiring download pages. They have time to download their products but the page is only there temporarily so no one can post your download links and let others steal your products without paying. E-Shop Pro also gives your customers as many or as few payment options as you choose including your choice of 2Checkout, Paypal, iPayment, wire transfer, cash check, money transfer, COD and billed orders. Best of all it does it all on auto pilot. You don't have to lift a finger! Just cut and paste some simple code and EVERY visitor to your site can immediately email their friends telling them to take a look at your website. You can even have an email prewritten with your chosen message for maximum impact. Imagine the viral effect of having visitor after visitor sending their friends and associates to your hottest web pages, opt-in pages and sales letters. It's like doubling a penny. Before long one simple script can create an ever growing flood of high quality, highly targeted traffic for you. Simple, minor changes to your website can make massive increases to your conversions and sales. You won't know which changes are making you more sales or more conversions unless your split testing and tracking. Fortunately split testing and tracking on your websites, pay per click ads and MORE is a BREEZE with your Add2it Go-To Enterprise script. You can even use this script to create professional redirecting links. When I first stated my online business I was getting 15 or 20 spam emails a day. Then my traffic began to grow. By the time I was making a modest living I was up to over 500 spam emails day. But the nightmare got even worse. When I really worked out how to get real traffic to my site I started getting 1,000, 2,000 and 3,000 or more spam emails every day. With that kind of spam you have no way of managing your email. You'll waste hours every day searching for legitimate emails from hot prospects or real, paying clients with real issues you need to deal with fast or you'll end up with a flood of refund requests. You can slash down the spam by using feedback forms on your site instead of giving spammers easy access to your email address. That's why I created WebForms Pro...a powerful script that gives you feedback forms for your site and protects you from the spammers by keeping your email a secret. Just minutes from now you can have WebForms Pro working for you on your site giving your eager prospects safe, direct contact with you...helping you to turn those prospects into buyers. This powerful autoresponder script makes it easier AND cheaper than ever before to capture email addresses and send them emails automatically. All without monthly fees..
With this powerful autoresponder software you can send a newsletter or any message to 1,000 or 100,000 people with just a click of your mouse. And again it's free! Why pay $20 to $50 a month for an autoresponder when you can use this powerful script completely free? 2. The top notch link and ad tracking system Add2it Go-To Enterprise. Automatically generate ad links, track their responses and compare their results. Improve your ad campaign now by identifying which ads work and which ads don't. Also employ the powerful split-testing feature to find the best selling ad copy for your site. Add2it E-Shop Pro is the exact same software script used to process orders at Add2it.com, Add2you.com, ProgShop.com and many other leading online sites. It gives you the freedom to sell any combination of your products and services while protecting your products from cyber-thieves. This payment processing and shopping cart software script allows the following payment methods: 2Checkout, PayPal, iPayment, remittance (wire transfer), cash, check, money transfer, COD and billed orders. Electronically deliverable products are delivered with secur time expiring download links. You even have the option of recurring orders through 2Checkout and PayPal. 4. Turn your site into a viral machine with Add2it ReferThem Pro. Add2it ReferThem Pro allows your visitors to e-mail and notify associates or friends about your website. Together with Add2itMailResponder Pro it even builds you a mailing list of referrers as well as referred visitors. 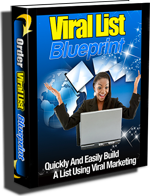 Install this simple script and you can start your viral machine in minutes. Instant feedback from your site visitors without getting buried in SPAM? Add2it WebForms Pro makes it easier AND safer than ever before to get feedback from your site visitors. It protects you from SPAM by keeping your email address secret. Together with Add2it MailResponder Pro you can build a mailing list of site visitors who use your forms, create name squeeze pages and online surveys. If you act right now I'll give you all five scripts...each designed to turn your website into an online powerhouse. "Stop Looking! The scripts here are what every webmaster needs to run an effective professional site in today's market. Autoresponders, and Tell-A-Friend scripts. Ad Tracking and more. Take the whole package you won't be sorry. And with Franks great personal support, you can have them up and running in a snap. Fantastic value!!" "Amazing scripts at an amazing value. Look no further!" I can only afford to give away my best scripts at this bargain price to a few lucky people who are quick enough to act immediately. Even better if you choose it I'll throw in full installation of every script from me or one of my highly trained staff (normally a $185 service) for an extra $50... that's 70% off! If you are not positively thrilled with the incredible features each and every one of the Add2it scripts has for you will get 100% of your money back with no questions asked. You have a full 56 days to test every script. Either you like it - keep it and profit from it or you get your money back and I'll even let you keep over $2,350.95 in special bonus offers (see below). You can only win! when I can perform the installation quickly and successfully for you? No worries, no headaches... No Problems! Your order is 100% safe, secure, and private! Note: All Add2it software scripts have only a one-time fee to acquire the software license. After that, there are no further fees of any kind and you can use the software scripts forever... you pay no more monthly or annual fees! Please take also a look at the information about registration & licensing as well as the information about payment & delivery! Start Earning from the Internet's Hottest Trend! Learn in real language how to create your own highly successful membership site! And get started on the path to earning real money at last. Build your own highly successful membership site, with step-by-step instructions that are virtually foolproof and to get you started even quicker I also include a complete membership site manager software! "Master Resell Rights to 6 High Quality Products"
Sell These Products and Make 100% of the profits to yourself! As a special way of saying "Thanks for becoming a customer", we'd also like to offer you 6 complete Master Resell Rights products. 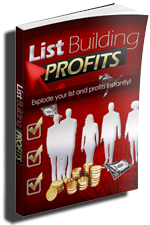 'List Building Profits' - Includes Ebook and Videos. Join The Ranks Of The Wealthiest List Building Moguls Who Know Exactly How To Generate Massive Email Lists Of Targeted, Hungry Buyers! Included Over one hour Videos. The entire video series is presented using an easy step-by-step process that anyone can follow. Valued at $97.00. Yours FREE! 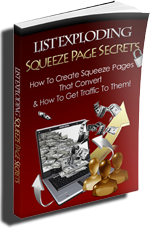 Even if you’ve never put a squeeze page together before or are struggling with your current squeeze page, don’t worry because this little guide will show you all you need to know to make a killer squeeze page and get traffic to it! "The Money is in the List". But did you know that one of the most effective methods in list building you should master your skills on is creating your own Squeeze Page? 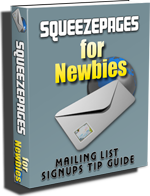 This simple 18 page guide shows you how to create your very own Squeeze Page and takes you behind the simple yet ingeniously designed system to online riches as used by some of the leading Internet Marketers and Direct Response entrepreneurs in the world! This step by step 6 part video series that takes you by the hand and shows you how to get others to build a list for you, happily. What, that's crazy talk! Yes, I'm serious. 2. Two types of lists: How to get others to build your list for you, how it all works. 4. What should you give away? 6. Marketing it and finding people to build your list. It can be difficult to build a permission based mailing list. With the overwhelming amount of traffic on the Internet, it is hard to know just how to develop a solid mailing list without resorting to purchasing one. Master Resell Rights so you can resell it and make 100% of the profits straight to your account. A ready-made sales page to sell this product. A ready-made squeeze page so you can build your list. Professionally designed web page and product graphics. Just as an example, when you have just one of these products selling online and sell just 30 copies at $10 each that's $300* you make for the month. When you have TWO of these products online and sell 30 copies for each product that's 60 sales - $10 x 60 copies = $600 a month*. When you have all SIX products for sale and you sell 30 of each for $10, that's $10 x 180 copies. You'd make $1,800 a month*. Save time and money! The product's already been created for you. Simply put edit the sales page or squeeze page with your order link/autoresponder code and you're ready to sell or build your list. * Results aren't typical. There's no guarantee you'll make money at all. Results are based on the person's effort and dedicated. Get your offers noticed on thousands of websites and earn instant cash at the same time with the Instant Cash Magnet Viral Advertising Powerhouse! To succeed online you need traffic, you need sales. you need to Spider YOUR site all over the net. Get caught in the Web of Viral Advertising and start making money the way the experts do. Light up the search engines... Make Google scream for mercy...Switch on your PayPal accounts. 250 rotations valued at $197.00 as a bonus for ordering this package! Add2it LeadsMailer Pro is the easiest way to email your leads today! No scripts to install on a web server, no monthly fees to pay, no complicated software to use. If you know how to use Outlook to send an email to your mom, then you can easily use this software to send thousands of personalized emails to your leads today! Get Instant Access to Download a Hot Selection of the Newest Ebooks, Software, Videos Templates and Niche Products with Resell and Master Resell Rights Available For 2019 ! Content to Your Website and Submit Your Own Articles. 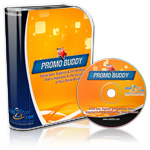 BONUS #7 -- $67.00 value: Promo Buddy Database! "Add2it Promo Buddy Internet Marketing Database"
This product is perfect for people who have problems getting their marketing data organized. Promo Buddy has 36 different databases included which will save your data such as for your ads, logins, affiliate details (e.g. affiliate links), website details, bookmarks, ebooks, contacts etc. You can also create your own database! Frank has added one database which allows you to create your own field descriptions and then add any kind of data into the fields you want... So if there's a database missing which you need, just create your OWN! 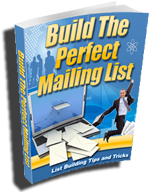 Complete 150+ page manual with hundreds of email marketing and Internet marketing secrets. You will discover a proven system to generate more web traffic and sales no matter what type of business you are in. Best of all, our proven strategies are so simple even a child could use them. to start using our system tomorrow! Get this cool tool to jot down your notes and get organized immediately! Add2it Notes Pro is a program that puts little notes on your desktop. You can create infinite notes, change color and aspect of every note, save and print it. You can change everything in the notes, like colors, font, title and other. You can also move and resize notes. "Excellent package you have put together Frank! You have included just about every feature needed for a small business to set up a powerful follow-up system that captures leads and makes more sales." "...most impressed with the quality, service and reasonable prices at Add2it.com." "I am most impressed with the quality, service and reasonable prices at Add2it.com. Frank is a sharp guy with the rare ability to blend technical "stuff" with marketing "smarts". Great deal!" "...outstanding product line and unbeatable customer support." "Thanks for the wonderful, prompt and courteous service! You've got an outstanding product line and you top it off with unbeatable customer support. That's a winning combination if I've ever seen it!" "Your package is indeed a total solution for anyone who wants to run an online business. I am very impressed for the value that it delivers beyond expectation." "I am impressed and recommend this guy..."
"Twelve days ago, I bought a script from a well known guru on the Internet paying almost $300.00. The sales page said that the money paid included a non-refundable 'set up' fee. I then discovered a 'set up' fee did not include the installation. I struggled attempting to follow the installation instructions and asked for help on a number of occasions. Each reply was total gobble-de-gook and made no sense what-so-ever. I still have not got it up and running after 12 days. Frank, on the other hand, has been totally professional and helpful in every way. The programs I bought are now up and running after only a few days and so easy to use that I have to say that I am impressed and recommend this guy as someone well worth dealing with. So if you have had a similar experience to mine, don't put Frank in the same category as he is an absolute gentleman." Leading online marketers and ordinary folk just like you are RAVING about how this amazing software package can revolutionize your online business. And with your unheard of $2,351.95 bonus package this is the best value you'll ever find anywhere on the internet. *EARNINGS DISCLAIMER: Results are not typical. Your results may vary. We make no claim that you will earn any income using this tools whatsoever. You must assume the risk that you will not earn any income from this products.